05/02/2014 – Tube Strike? No bother! Today marks the first full day of London’s tube strikes. It’s grim, windy and generally grumpy in the air… But not for me! Cycled in today, as always no bother, apart from a little extra traffic. (No one likes a smart arse!) It was horrid cycling home though as the wind picked up, but I did a few extra km’s as my mum is coming to London tomorrow so I won’t be cycling much. 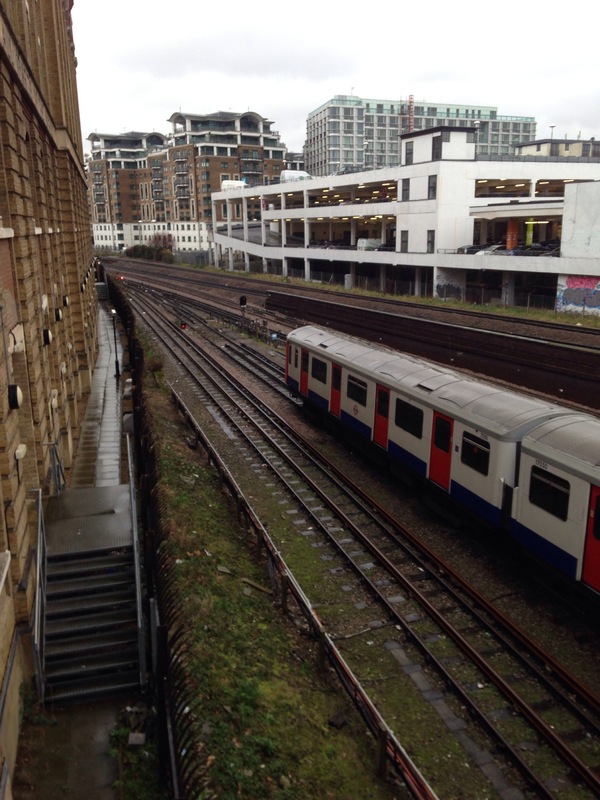 Grabbed this picture just outside where I work at lunchtime, a stranded tube train. Quite typical for today’s transportation antics. 06/02/2014 – Packing and Champagne!